In 1999, Steve Powers stopped writing graffiti and tending bar to dedicate himself to being a full-time artist. His work has been shown at Venice and Liverpool Biennials, as well as numerous shows at Deitch Projects. Powers was a Fulbright scholar in 2007. He used the grant to paint in the streets of Dublin and Belfast. His work in Belfast’s Lower Shankill area was inspired by the area’s political murals; Powers told the New York Times that he was “taking the form of the murals, which are powerful for all the wrong reasons, and trying to retain some of the power and use it in a really good way." 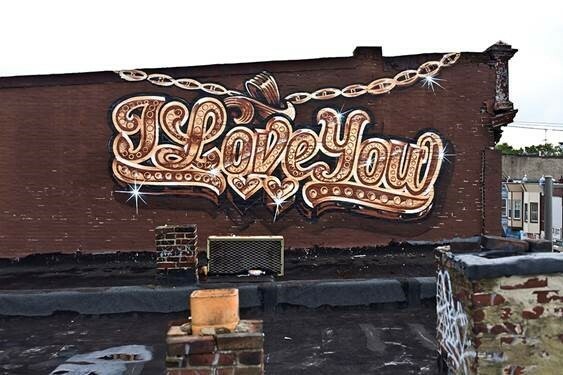 Building on what he started in Ireland, Powers is now working on an ongoing mural project about the complexities and rewards of relationships titled A Love Letter for You. 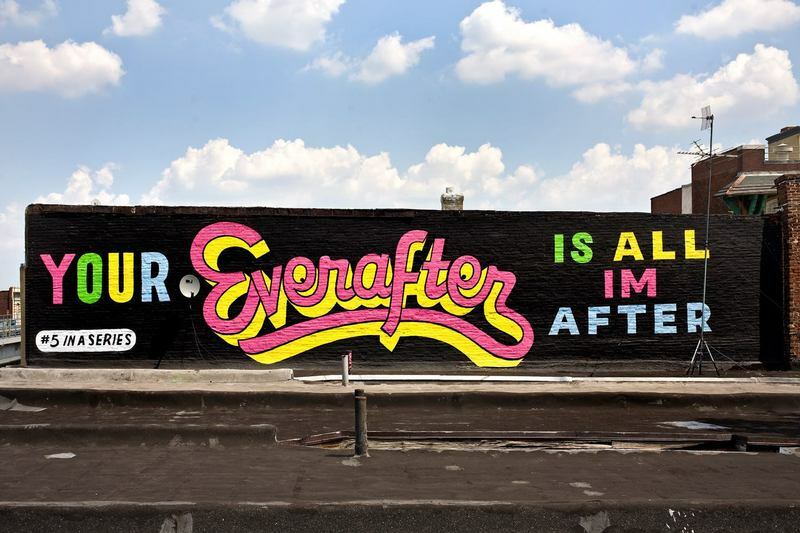 In Philadelphia, Stephen and his crew painted more than 50 walls along the elevated train along Market Street in West Philly. (Psst... you can get $2 off the Love Letter Tour with this Perk!) The project, sponsored by a grant from the Pew Center for Arts and Heritage through the Philadelphia Exhibitions Initiative, and produced with the Philadelphia Mural Arts Philadelphia, has generated positive reviews from the New York Times, the Wall Street Journal, and The Blog of Sean Combs. Powers is also the author of a book detailing his personal graffiti history, The Art of Getting Over ( t. Martin’s Press 1999), as well as the graphic novel, First and Fifteenth: Pop Art Short Stories (Villard Press, 2005). Steve, along with our friends at Mural Arts, will be live printing a special love-related image at Suburban Station on Valentine’s Day (Thursday, 2/14) between 11a and 3p. Bring a garment (t-shirt) to get printed for free while you wait, or buy an already-printed garment! Limit two prints per person. Garments only, no paper, canvas, cardboard, or other flat media. Find out more here: https://www.facebook.com/events/1227535790737633/! Mural Arts Philadelphia is the nation’s largest public art program, dedicated to the belief that art ignites change.